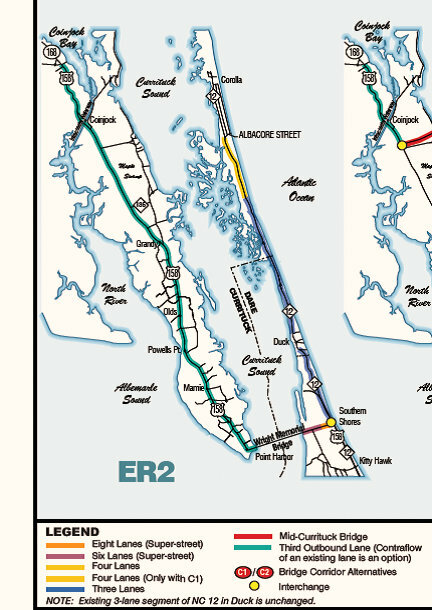 Local leaders need to implement and advocate for improvements to the existing roads as outlined in the FEIS for the Mid-Currituck Bridge. Known as the ER2 alternative to building a bridge. 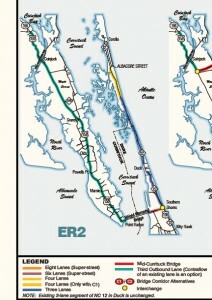 ADD PAVEMENT TO NC12, Southern Shores through Duck and build the flyover interchange at the US158/NC12 intersection.